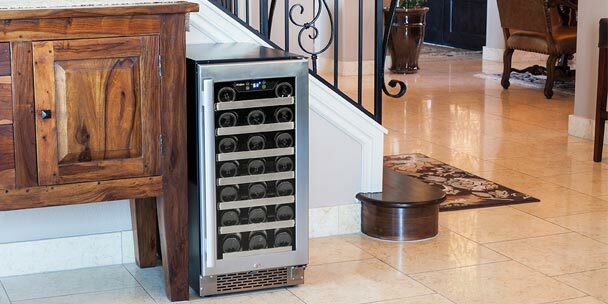 One of the most important factors to consider when looking for a wine refrigerator is bottle capacity. It’s what most people shop by and it’s typically included in each unit’s title. When looking at bottle capacities, most people don’t take into account the variety of bottle sizes available. Depending on the type of wine, the shape of your bottles could be completely different. 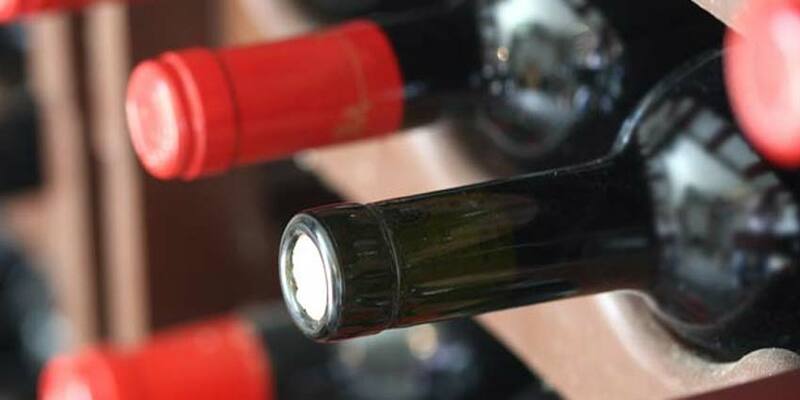 Cabernet Sauvignon bottles have high shoulders, while Chardonnay and Pinot Noir bottles have low, sloping shoulders and a wider base. The bottle capacity of most wine refrigerators, unless stated otherwise, is determined using Bordeaux-style 750 mL wine bottles. 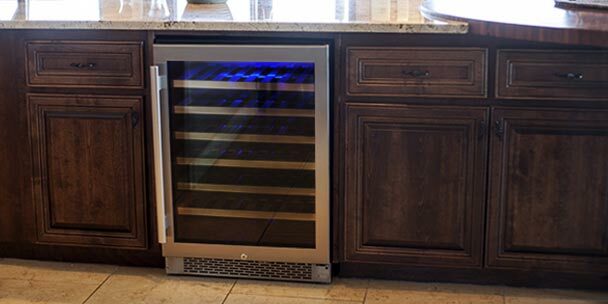 As a general rule, if your collection is comprised of larger-style bottles, you’ll want to purchase a wine fridge with a larger capacity than the quantity you’re looking to store. Different shelving materials cause a difference in the space between shelves. Generally speaking, straight shelves made of wood create a much tighter space constraint than shelves made of scalloped wire. Scalloped wire shelves have a dip in them, giving you more space to work with vertically. The width of the dip is often a little small for larger-style wine bottles, so the fit for Pinot Noir and Chardonnay won’t be perfect horizontally speaking, but you won’t have the struggle of not being able to pull out shelves cleanly due to tight vertical fit. The trick to accommodating large bottles in any wine fridge is to make sure the shelves are removable and anticipate having to remove at least one shelf. This, of course, will lower the stated capacity, but it will easily accommodate bottles of all sizes. You’ll also want to keep in mind both your preferred and the suggested configuration style of your bottles. If you only want to load your wine a certain direction, you’ll want to be sure that is the loading style suggested by the unit’s owner’s manual. If the manual suggests you load the bottles end-to-end and you only load them one direction, the possible capacity will be smaller than stated. 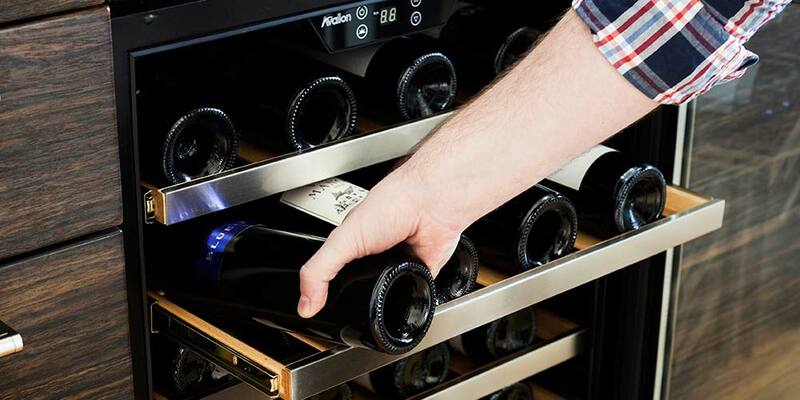 Although there are reasons to load them all bottom-forward due to the ease of label reading or all neck-forward due to the ease of removal, the best way to ensure a full capacity is to load them both ways, alternating the direction of each bottle. 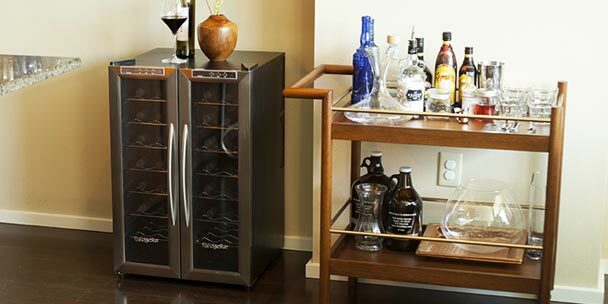 When shopping for the perfect wine refrigerator, it’s important to remember that going bigger is always better. It’s more advantageous to have more than enough storage space rather than not enough room for the bottles that you already own. 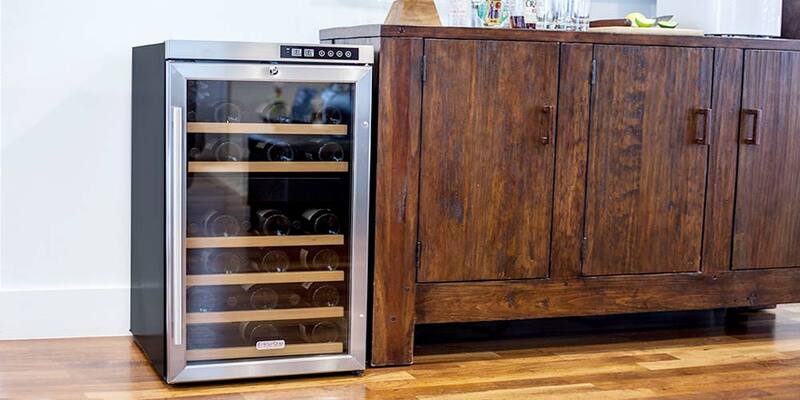 At the very least, having a larger-than-needed wine fridge will give you the motivation to grow your collection and your love of wine. This is a very important article that should accompany every wine cooler image that Wine Cooler Direct sells. I purchased a 2 zone Koldfront that does an excellent job, but non Bordeaux shaped bottles barely fit and I suspect that most wine drinkers drink a mix of styles and, therefore, utilize a mix of bottle shapes. Actually, I’m surprised that a manufacturer would build a cooler that wouldn’t accommodate all, or at least most, bottle shapes. I wonder if the designers/engineers drink wine.